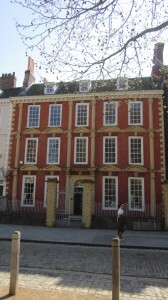 As the outstanding survivor of the development of Queen Square in the early eighteenth century, number 29 was recognised as a building requiring careful conservation and repair. It is listed as Grade I as a building of national importance. For many years a home for Bristol’s impecunious sailors, by 1988 it had been released for disposal by Bristol City Council due to lack of demand. Prior to this it had been agreed that essential repairs were necessary to conserve its fine panelled interiors, repair its timber framing and bring it up to current standards. 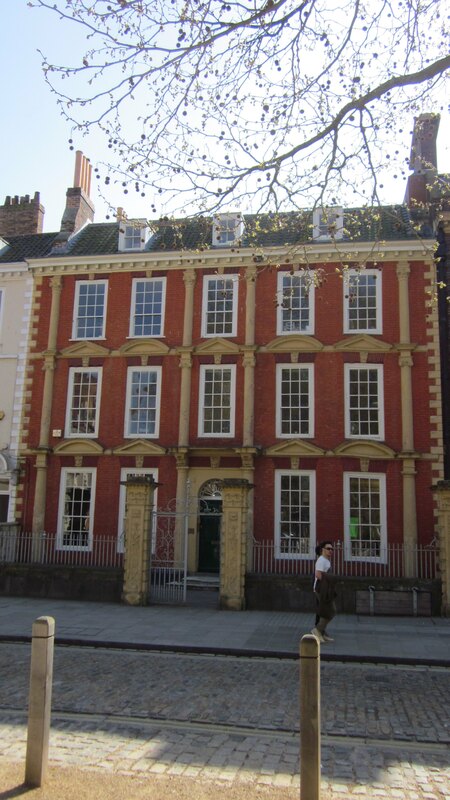 As conservation advisor for the Council, the Trust agreed to assist in supervising a recognised conservation architect to ensure proper repair. In 1988 Colin Harvey of Architecton was appointed to carry out the works, which were funded in part by a grant from English Heritage. In addition, some of the original forecourt gates and railings were found in the vaulted basement, enabling a complete reinstatement of the forecourt and setting for this exceptionally fine elevation onto Queen Square.